Every day, Canadian hospitals create environmental and health and safety hazards by expelling destructive greenhouse gases (GHGs) into the atmosphere. Surgical operations requiring the use of halogenated anaesthetic drugs release alarmingly high amounts of carbon dioxide emissions. With approximately 54,000 operating facilities in Canada, GHGs produced could soon exceed amounts comparable to two million vehicles. To combat this worsening trend, Blue Zone Technologies Ltd. has developed a unique solution that allows the capture, storage, and reprocessing of aggressive toxic gases from one central location in the hospital. Blue Zone currently services approximately 25% of hospitals within Ontario, however the previous technology required one unit per operating room, whereas the new technology requires less space and staff involvement. On October 25, 2016, the company was awarded a Canadian patent to protect their product and ensure its continued development. The use of anaesthetic gases is expected to increase globally by 10% to 15% per year; Blue Zone’s patented technology will ensure these gasses do not reach Canada’s atmosphere. Multi-award winning company, Blue Zone Technologies Ltd., has created some of the world’s most innovative medical technology (medtech) innovations. The Ontario, Canada-based business is known for its Centralsorb® and Deltasorb® systems that remove and store GHG emissions from medical buildings. Years ago, Blue Zone began implementing Deltasorb® technologies in hospital operating rooms to remove anaesthetic gases, but this required several units and training for all medical professionals who needed to use it. Alternately, the company’s new Centralsorb® system is a centrally-located device within medical offices. The single unit only requires one operator, greatly reducing the space and time required for the technology to operate efficiently. Once stored, Blue Zone’s technology can liquefy anaesthetic gases and recycle them into gasses that can be used again. Based on the global rise of greenhouse gas emissions, Blue Zone is well positioned to grow beyond Canada. The firm’s commitment to research and development has provided an undeniable market advantage, and was made possible through Canadian government grants. 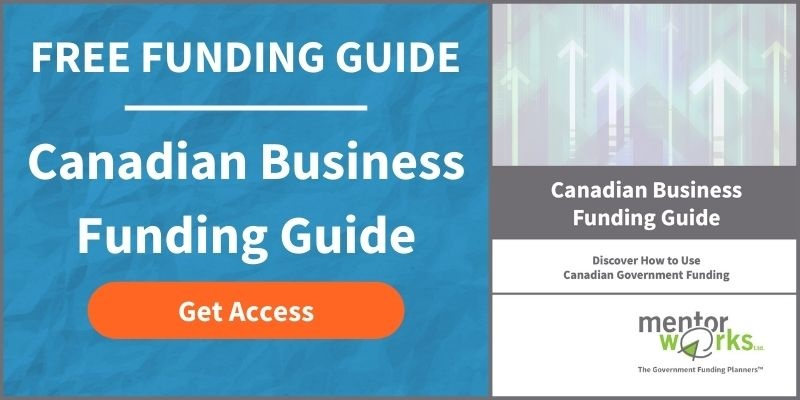 Blue Zone used Canadian research grants such as the , Sustainable Development Technology Canada (SDTC), and the Innovation Demonstration Fund (IDF) to accelerate development and bring their technology to market faster. The Health Technologies Fund (HTF) supports research and development of innovative, Ontario-based healthcare technologies. Through the program, businesses can partner with a hospital or public health care provider to prototype, assess, adopt, or diffuse healthcare technologies. Eligible projects may receive research grants worth up to 50% of expenses, to a maximum of $100,000-$500,000. IRAP Mid-Size Projects provides grants to support internal research and development projects performed by Canadian small and mid-size enterprises (SMEs). Incorporated organizations may receive substantial research grants to reduce technical labour expenses. Eligible projects may receive up to 65-80% of labour costs to a maximum of $500,000 for employees directly involved in completing research projects. Mitacs Elevate provides research grants to hire a PhD fellow for up to 2 years. During this time, the applicant company can collaborate with the PhD student to access new technical abilities and a fresh perspective on the project. Research grants awarded through Mitacs Elevate may total up to $25,000 per year, or $50,000 total. During this time, businesses must also contribute $30,000 per year, or $60,000 total. When developing new medical technologies, being able to perform the research and commercialize a product quickly is essential to the project’s success. Canadian companies of all sizes can use research grants to accelerate these R&D activities and reduce overall project cost. To discover your eligibility for research grants or any specific funding program, please contact Mentor Works. Our team can determine which programs will be best suited for your business’ strategic projects.